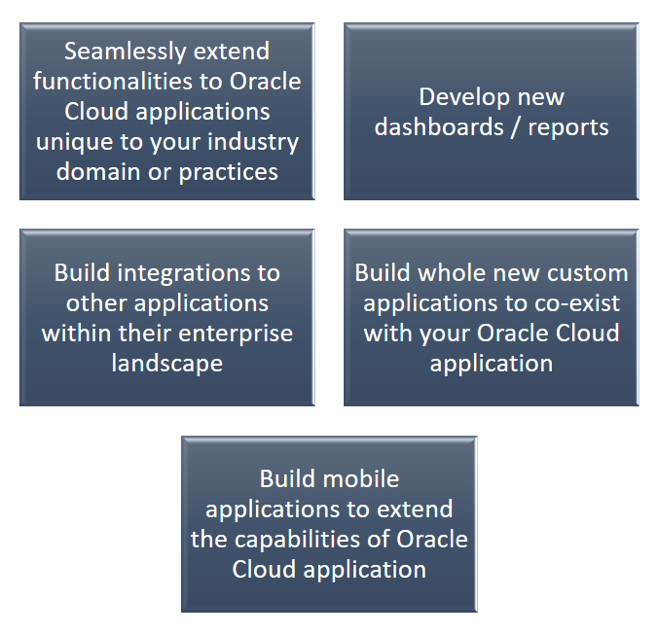 Oracle’s Platform as a Service (PaaS) allows developers, IT professionals, and business leaders to subscribe and use software to develop, test, and deploy the next generation of applications in a secure, cost effective way in the cloud for speed to market and scale competitive advantages. Large organizations need to integrate and connect multiple cloud and on-premises applications, develop, secure, discover, and share content and insights across departments for more flexibility and business value from IT. Smaller organizations also have access to the same reliable and secure enterprise IT capabilities to quickly establish new environments to create and scale applications in multiple channels and for multiple purposes.